AFRA, the wife of a nobleman in Brescia, Lombardy (Italy). St. Afra converted to Christianity as an adult, was baptised by St. Apollonius (7th July), and was later martyred. Most sources give circa 133 as the date of her martyrdom, though much of what is known of St. Afra today is based upon legends which are of questionable reliability. DONATIAN and ROGATIAN, two brothers in Nantes in Brittany (France), who were beheaded in 299, for their faith in Christ during the Diocletianic Persecution. PATRICK (PATRICIUS), the fifth Bishop of Bayeux in Normandy (France). St. Patrick reposed circa 469, nothing further seems to be known of his life. ROBUSTIAN, (Date Unknown), a martyr in Milan (Italy) from early in the Christian era, of whom no information is extant. It is possible that he is the same St. Robustian who is commemorated with St. Mark on 31st August. 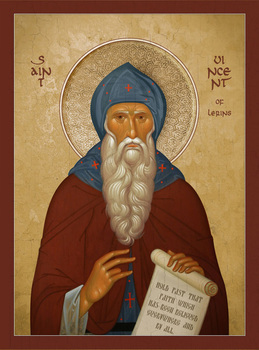 VINCENT of LÉRINS, best known as the author of Commonitorium Adversus Haereses (Commonitory) in which he formulated the time-honoured principle that the only true teachings of the Church are those that have been “…held true everywhere, always and by all the faithful…” (“…teneamus quod ubique, quod semper, quod ab omnibus creditum est....”). St. Vincent was a Gallic nobleman and career soldier. In later life, he left the world and received monastic tonsure and was priested at the Abbey of Our Lady of Lérins (abbaye Notre Dame de Lérins). St. Vincent reposed circa 445. VINCENT of PORTO, (Date Unknown), a martyr in Porto Romano, the ancient port of Rome. 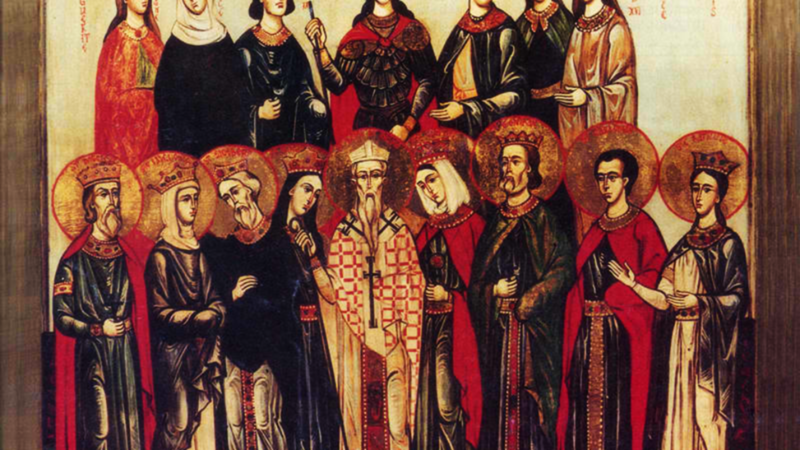 ZÖELLUS, SERVILIUS, FELIX, SILVANUS, and DIOCLES, (Date Unknown), a group of early martyrs in the Istria peninsula in present-day Croatia. Nothing more than these names is known.